At All Appliance Repair, customer service always comes first. It’s been our pleasure to serve the Baltimore area for the past 15 years. Call now and you’ll find out about our hassle-free appliance repair services. 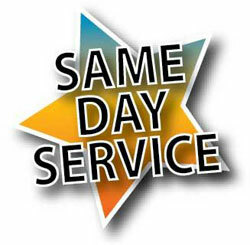 We offer same day in-home services in Baltimore and it’s surrounding cities. Such as: Arbutus, Baltimore Highlands, Catonsville, Dundalk, Glen Burnie, Lansdowne, Overlea, Towson and more. We thank you in advance and promise to do our very best, when it comes to repairing your appliances. No matter what brandy your malfunctioning appliance is, we handle it. 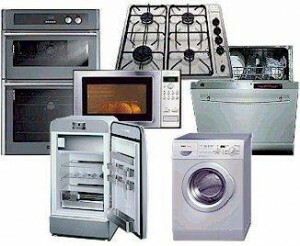 We fix major brands like Whirlpool, Subzero KitchenAid, Amana, Maytag, Kenmore, Dacor, Fisher&Paykel, Viking and more. Most of our repairs are completed the first time. You can trust us with refrigerator repair, dishwasher repair, oven repair, washer repair and dryer repair as well as with commercial appliance repair services. Call us today at: 410-412-3333 to receive professional prompt and courteous customer care. Live operators are waiting to answer your questions and to schedule you a convenient appointment. We work around your clock. Q: How do I keep out the bad smells from my Sub-Zero refrigerator? A: We suggest that you clean the inside of your refrigerator once every 2 months or so. You can clean the inside with warm water, soap and a cloth. To avoid future odors you can either leave either a cup with grounded coffee or a box of baking soda inside your fridge. Q: I hear a buzzing noise coming from my Amana fridge is that normal? A: That is pretty normal, because your refrigerator runs 24/7 that common sound normally comes from the back of your refrigerator where the fan and coils are. Q: Is it important to clean my Bosch oven filters? A: Its very simple to clean, so why ignore the filters? Simply take some hot water and soap and wash them in your dishwasher. Don’t forget to dryer them completely before placing them back in our oven. Q: Can i place tin foil in my Hotpoint oven or is it dangerous to do just like in the microwave. A: You can practically place anything in your oven, tinfoil, glass, and ceramic ware. Just don’t place plastic because it will melt. Q: My Fisher&Paykel dishwasher makes noise when I run it. A: Make sure there are no loose utensils that might not have been placed correctly on the rack. Also verify that your dishwasher is properly level. Q: I’m having trouble starting my Miele dishwasher. A: Make sure its correctly plugged into an electrical source. Also check to make sure that the dishwasher door is closed before you run it. It will not start will an open/cracked door. Q: My Whirlpool washing machine is leaking what should I do? A: If the source is coming from the supply hoses that means that the rubber of the hose is tearing and youʼll need to replace that hose for a new one. It may also be coming from the pump, if so youʼll need to replace that too. Q: When am I supposed to clean out my dryers line sheet? A: You should clean if of before every cycle. You don’t want to take a chance for lint to build up and cause other malfunctions. Q: My clothes are still wet after my Maytag dryer finished it’s cycle. A: That is a sign of improper air flow. You either need to get your air ducts cleaned or unclog lint build up. The clogging is properly from the vent. Me and my husband were very pleased with the quick and professional service. 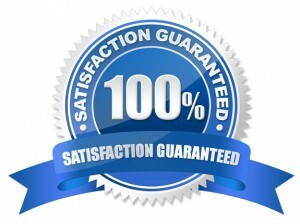 Excellent customer care at a fair and reasonable price. And, most importantly, my Maytag washer works again. Repaired my refrigerator and washer. Both work perfectly thanks to their experienced technician. This company is cost-effective and I trust them with my appliances.